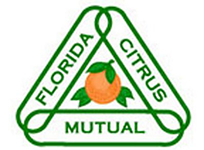 Rates go up after March 1 - Reserve Today! Highlights of this two-day Southern California citrus tour include stops at: Citrus Historic Park, Joshua Tree Park, the Parent Washington Navel Tree, Citrus Clonal Protection Protection Program (CCPP), University of California, Riverside - Agricultural Operations, the Citrus Variety Collection, the United States Department of Agriculture (USDA) Germplasm Repository for Citrus and Dates and more! 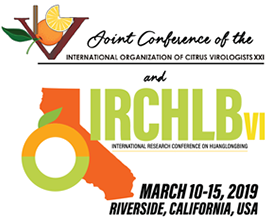 This half-day citrus research tour will make stops at the Citrus Clonal Protection Protection Program (CCPP), University of California, Riverside - Agricultural Operations, the Citrus Variety Collection and the United States Department of Agriculture (USDA) Germplasm Repository for Citrus and Dates. Join us for a California Citriculture Tour! This tour will begin in Riverside making stops in Los Angeles, the Ventura coastal area, San Joaquin Valley and San Francisco with the option to travel back to Riverside or fly home from San Francisco. CLICK HERE to for more information and to register for the Post-Conference Tour. Note: You will be directed to a third-party site for post-conference tour registration. The conference has entrusted San Diego Experiences to manage post-conference tour activities.